Top technology stocks fell further Monday, driving the Nasdaq down by more than 1% for the third straight session, as a string of disappointing earnings results rattles investor confidence in the sector. This marks the first time the Nasdaq has had three consecutive declines of 1% or more in nearly three years. The so-called FAANG stocks -- Facebook (FB), Amazon (AMZN), Apple (AAPL), Netflix (NFLX) and Google parent Alphabet (GOOGL) -- all started the week in the red, after two members of the much hyped group spooked investors by growing more slowly than expected. Facebook dropped nearly 4% at one point Monday before ending the day down 2%. The dip comes just days after the company suffered the single biggest wipeout in stock market history. 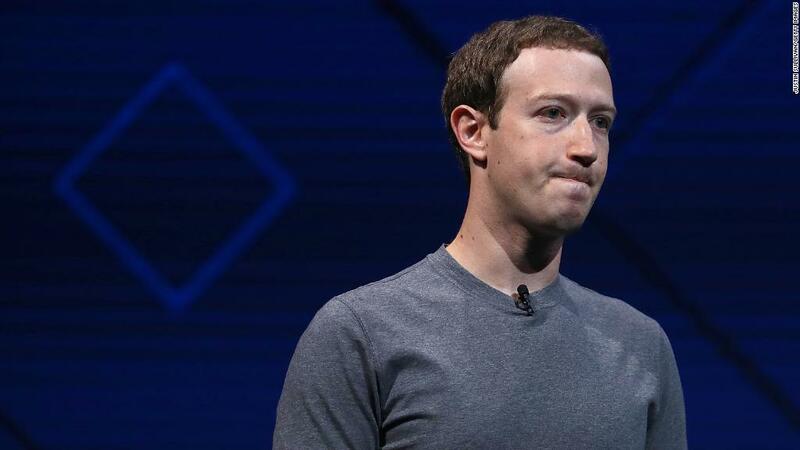 The ongoing decline, which has erased more than $100 billion in market value, follows Facebook's warning to investors that sales growth could slow considerably as it invests in "putting privacy first." Meanwhile, Netflix stock fell more than 10% earlier this month after adding about one million fewer customers than it had expected during the second quarter. On Monday, Netflix sank ended the day down more than 5%. Steven DeSanctis, an analyst with Jefferies, says the "sloppier" earnings season is serving as a catalyst to rethink the tech sector, which has been priced for nothing short of perfect performances. "Two of the five FAANG names have disappointed," DeSanctis told CNNMoney. "With that, deservedly so, they are going to get knocked down if their earnings numbers aren't perfect." Even Amazon and Google dipped by roughly 2% in trading Monday, despite both companies posting stronger than expected results for the second quarter. And the sell-off extends beyond the FAANG names. Twitter fell another 8% on Monday after reporting that its audience shrank slightly during the second quarter amid efforts to clean up the platform. Apple is the last of the group to report earnings, scheduled for after the bell on Tuesday. Even if it exceeds expectations, however, DeSanctis doesn't think it will "change the dynamics" for how investors are looking at the tech sector right now.